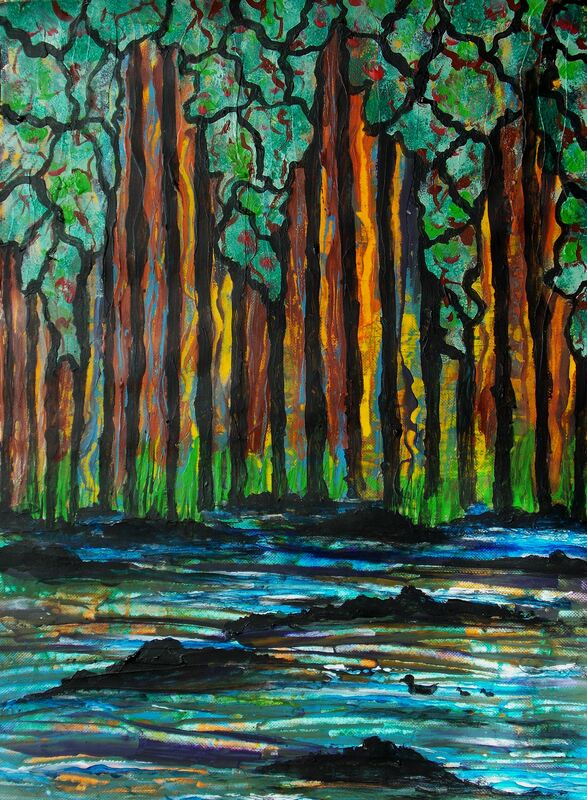 Acrylic paint on acrylic paper painting depicting a small family of ducks swimming in a fast flowing river beyond a dark forest and overhanging leaves. 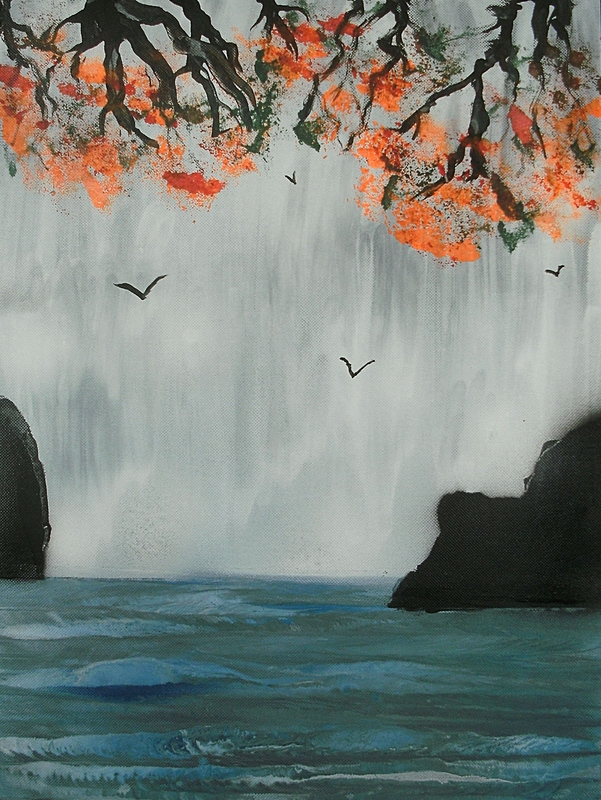 Aerosol spray paint on acrylic paper painting depicting a group of birds flying in front of a waterfall whose voluminous waters are rushing and crashing downward at the edge of a river where they flow towards the sea. Modified photograph of the underside of an arched bridge reflected on the water surface. 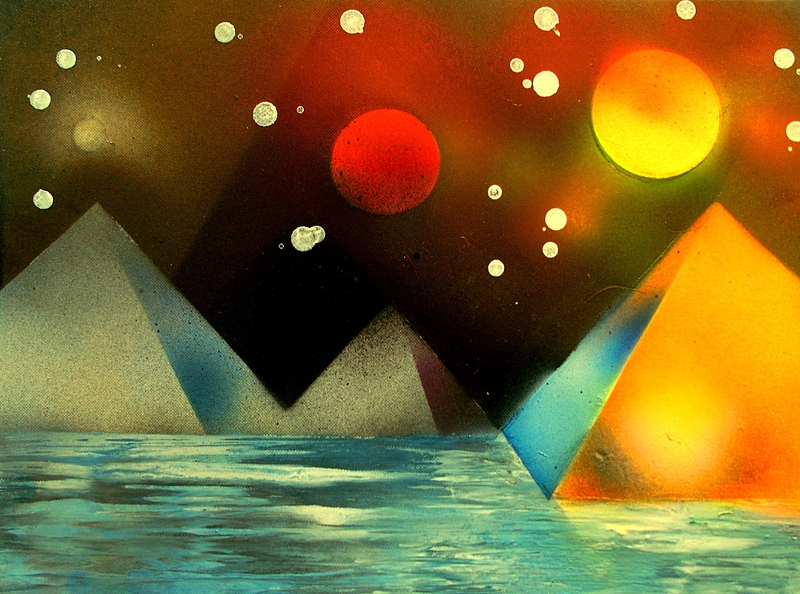 Aerosol cellulose spray paint painting on acrylic paper depicting the silhouettes of three black Rhinos, of which two of them are enjoying the river water while the other is peacefully grazing as the sun sets on the horizon. 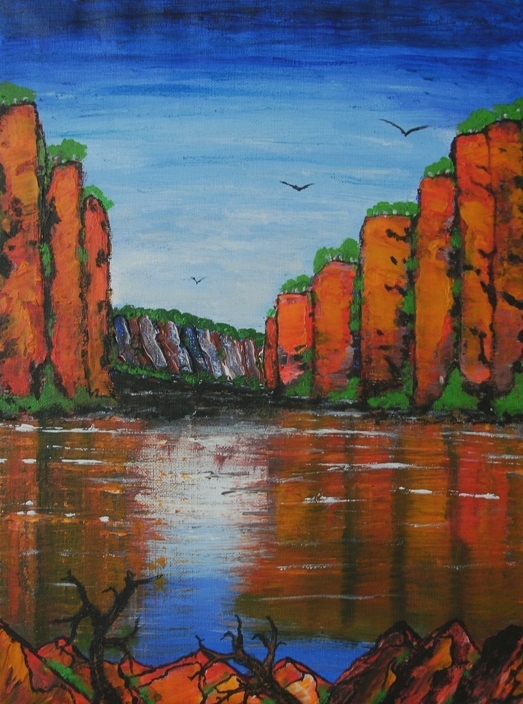 Acrylic paint on acrylic paper painting depicting two anglers fishing on a river bank having different success on a winter’s day.